Learn to produce the music your love using industry standard equipment. Music Production classes encompass all the areas in which technology has revolutionised the modern-day music industry. 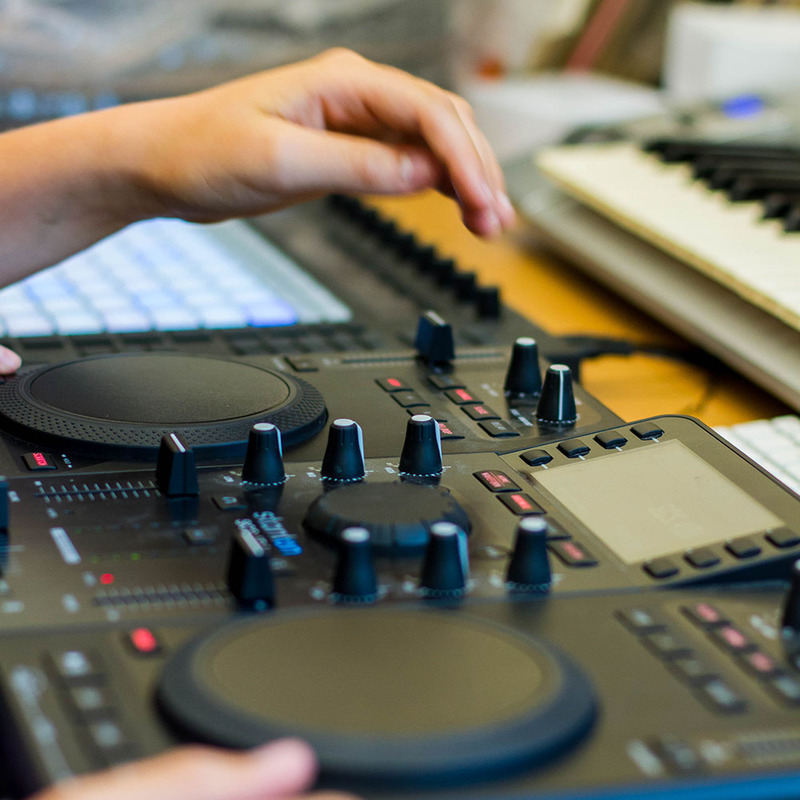 Students can choose to focus on composition, remixing, sound-design or dj-skills, while developing knowledge of the music industry and learning to use industry standard software and equipment. The Rhythm Studio’s music technology suite is a music producers dream that features iMacs, Logic Pro X, Ableton Live, Ableton Push, Technics 1210 turntables, Pioneer CDJs, Traktor and Stanton DJ controllers. 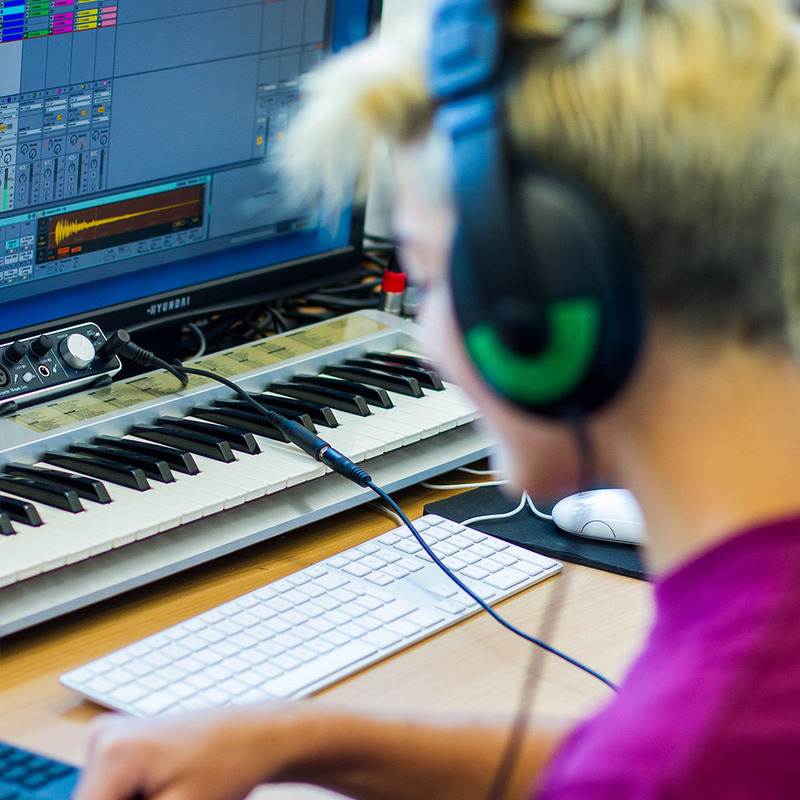 Students can join Music Producer 101 holiday courses to learn their way around Logic Pro X and Ableton Live, then enrol in private lessons or small group workshops to work on specific areas of interest. Meanwhile, full-time courses and part-time courses allow participants to gain a recognised qualifications while learning to produce the music that they love.